Before my general update about April/May, I want to talk about the current hot topic, E3. 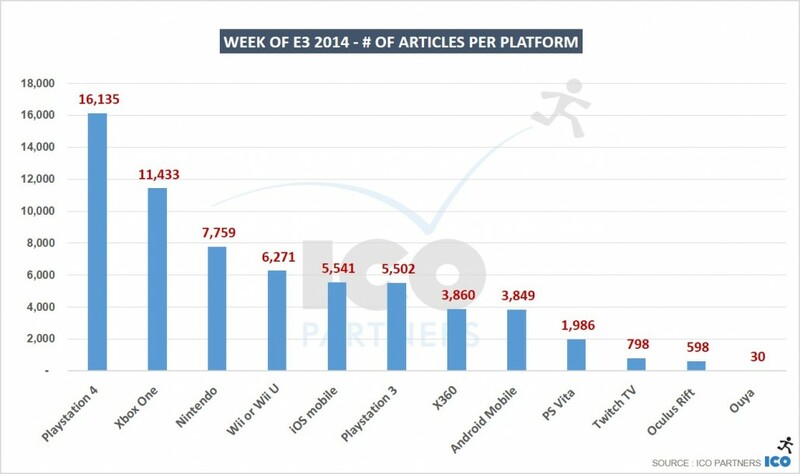 Below is an overview of last week and the impact of E3 on the media coverage of video games. The tool I am using is far from perfect. It gets hits on false-positives, some terms are impossible to get hits on and it is somewhat dependent on how clever I am when I create the monitoring criteria for a specific game if the name is quite generic. The tool is also dependent on the alerts I have entered. There are some prominent games that can be absent, I try to add them as I go but I know I always miss some. As I am expanding that list now, do not take the stats as an “end all” proof that X game is totally ignored by the media. I am only sharing the graphs showing the number of articles for a given topic – we are also using a weighted value based on the sites’ reach, but this time around I wanted to keep things simple. So what you see here is relevant about quantity, not necessarily quality. It is important to note that we purge the results coming from fansites (dedicated to one game) and content farms (that just repost other websites’ content). I am just sharing the current results because I feel they are interesting at illustrating the trend for [the week of E3]. First order of business, I wanted to see the impact of the official press conferences and see their respective impacts on the games they are putting in the spotlight. Because of the way they are set-up, I ignored the EA and Ubisoft conferences – their top titles had already been relayed at the manufacturers’ press briefings and while my methodology is not 100% perfect, for those, it would just not provide much insight. Another important thing to have in mind is that I am using the time when the article was published to determine its dependency to the press conferences – and because they all happened at different times I tried to ponder the timings, but there is probably a good margin of error that you have to allow me here. *Evolve is not an easy game to properly track – I am trying to avoid false positives and I might be a bit heavy handed on how I do it for now. The percentage is relative to all the articles published over the week. I wanted to see how front-loaded the coverage was for each platform. 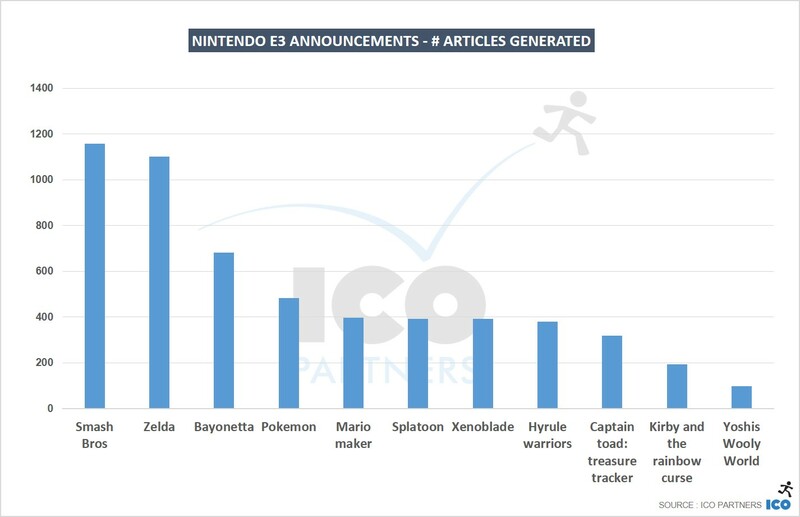 Nintendo, despite not having an on-site event, are still getting an incredible amount of coverage. 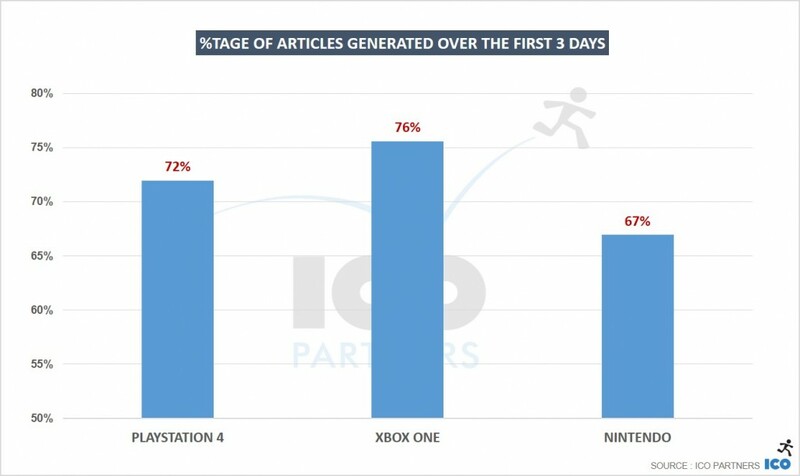 To give some perspective, if you look at the March analysis, Playstation was getting almost 4 times the same amount of coverage as Nintendo across its games and devices, and Microsoft close to 3 times the same amount of coverage. The concentration of attention given to the industry at this time is really helping them as they don’t tend to draw as much attention usually. The other point it highlights for me is that their format to make their announcement is not less efficient than Sony’s or Microsoft’s, and it is a lot cheaper, with an underlying message that their event is as much for their audience as it is for the press – putting both at the exact same level. On top of Microsoft being way more front loaded than Sony, the sheer volume of coverage is significantly in favour of Sony. In March, Sony had about 30% more coverage on the PS4 than the Xbox One was generating. 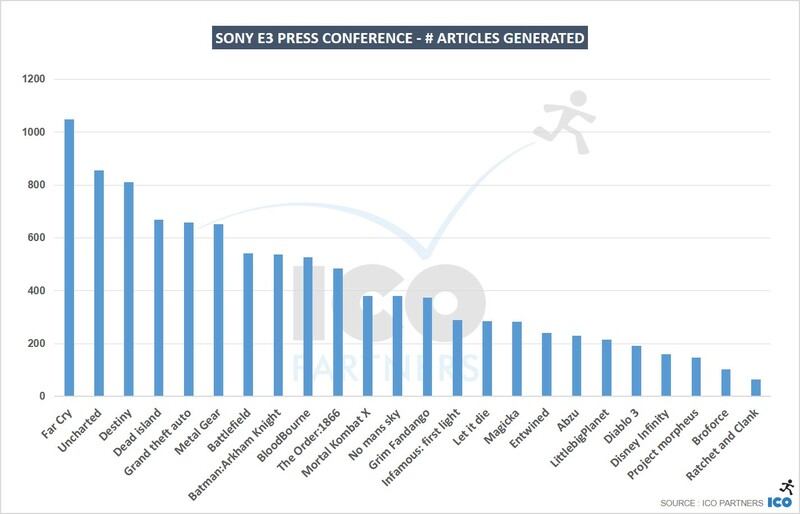 For the E3 conferences, Sony got 34% more coverage (despite them going second and having a slight disadvantage in my methodology), and overall for the week, 41% more coverage. 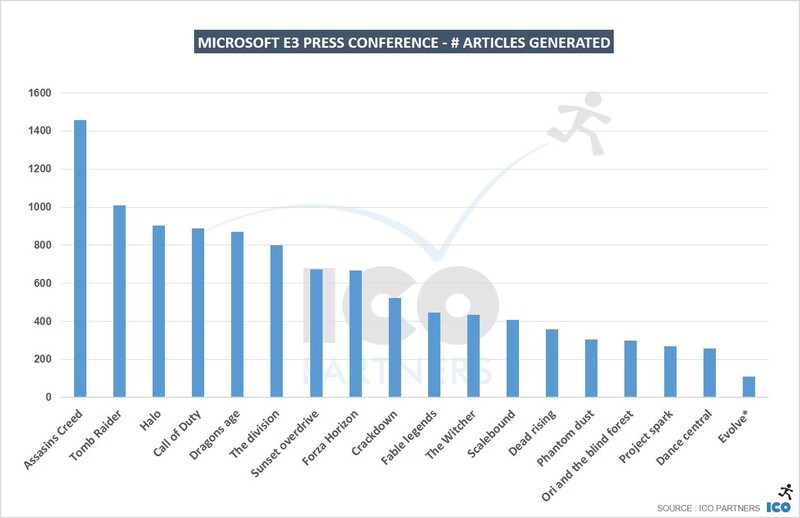 So purely from a perspective of media exposure, it seems this E3 was a significant win for Sony over Microsoft. This also provides us a very interesting benchmark for the event and the attention it gets. In a week, Sony attained half the amount of total coverage it would normally have in a month. All the data below was collected from Sunday the 8th of June to Sunday, the 15th of June. Weekends are traditionally incredibly slow days for video game media, so it should offer a proper snapshot of the E3 week in that regard. I have limited the list to the games that got the most coverage. Clearly, a portion of the AC Unity coverage is also coming from the female assassin backlash/controversy and it would have been better without it. FPS games are still getting a lot of the attention (with Call of Duty surprisingly lagging behind though), and Nintendo’s front hitters are also incredibly well covered with Zelda and Smash Bros ahead of some massive franchises such as Call of Duty, Halo and Tomb Raider. I almost feel bad about putting the Ouya in there. I had to actually check to see if they were indeed attending E3. 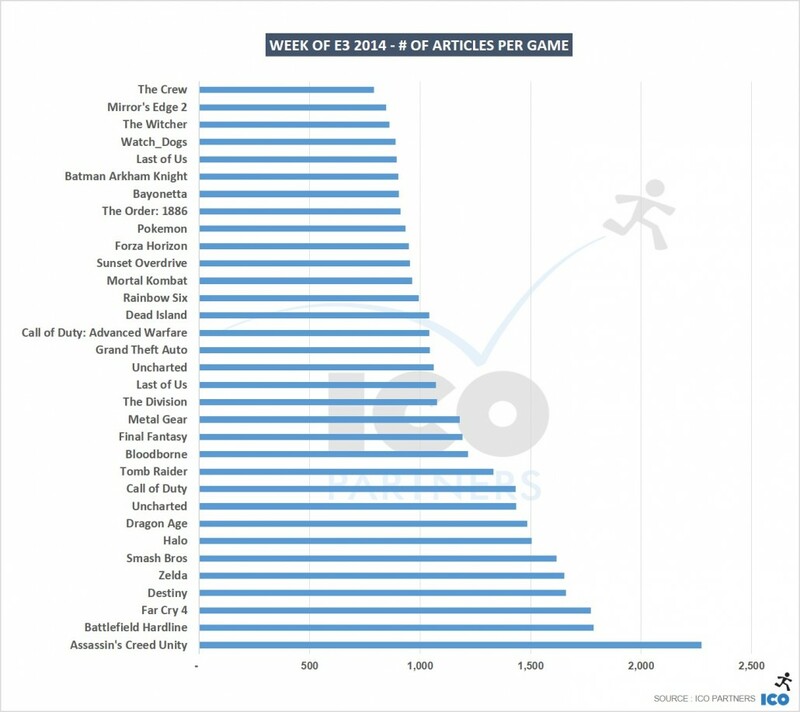 They had more articles on Monday following up their interview with Polygon than on any day of E3 itself. Still pursuing my personal interest in the world of VR, I wanted to have a specific look at the media coverage that Oculus and Morpheus both got throughout the week. And with E3 being so much about consoles usually, I have to say I am impressed by the fact that Oculus kept ahead in terms of media attention – of course, if Sony had pushed its own device more heavily, it would be very different – but it is still an excellent performance and testimony to the brand that Oculus is building. I have started tracking media mentions for almost a year now, even though I have only started presenting and discussing this data quite recently. This project started a couple of weeks after E3 2013, so I sadly I cannot make any comparison between this and last year’s event. 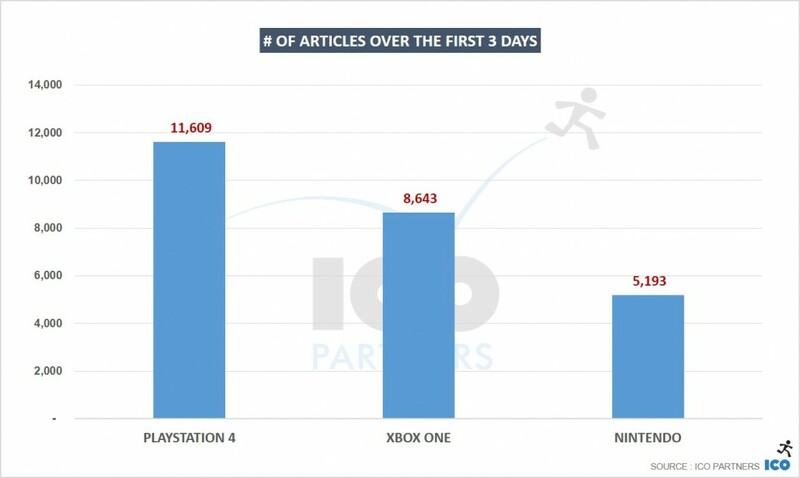 However, what I have is still a year’s worth of data and I wanted to share one last graph, showing the number of articles that mentioned the Playstation 4 every day, from the 1st of July 2013 to yesterday. Crowd funding – No negative impact on Technology projects after Oculus/Facebook... PR Monitoring – How is it working?